Human Cities_Challenging the City Scale 2014-2018 is a project that aims to improve the quality of public spaces by involving and activating cultural and civic participants. Lead by Cité du Design Saint-Étienne, 12 partners from cities around Europe form the platform for interdisciplinary exchanges. The project is co-funded by the Creative Europe Programme of the European Union. The Human Cities exhibition consists of three sections, displaying three different scales of participatory design. User-based architecture and social innovation are at the core of each exhibition. 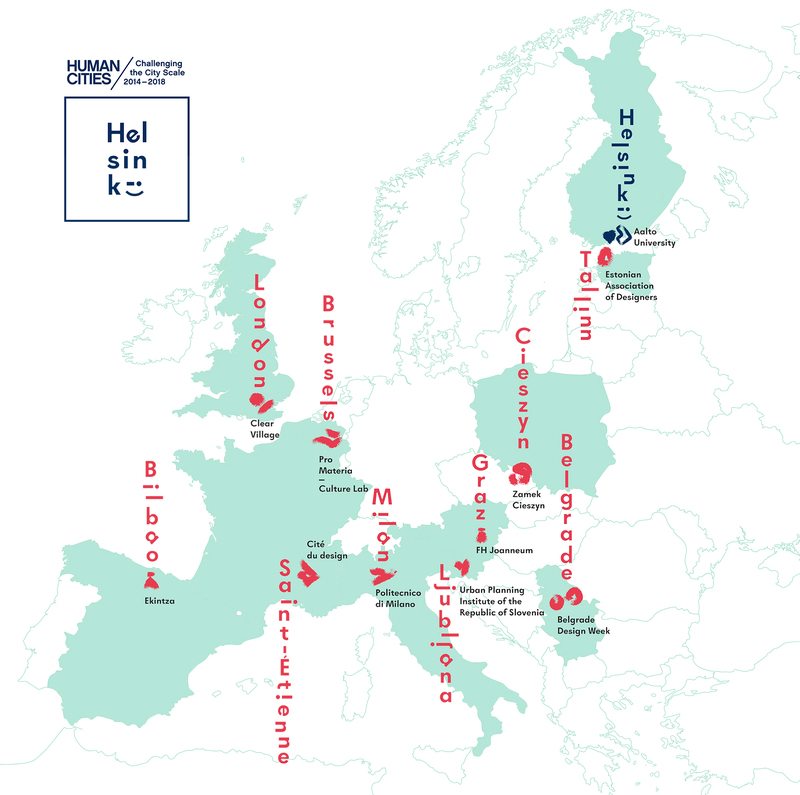 The main exhibition in Dipoli showcases the Human Cities projects throughout Europe made by the participating Human Cities network members. This continental scale displays versatile approaches towards contemporary collaborative design in European scale, where active urbanism shows its diverse characteristics. Aalto University contributes with the local School as a Service project in Otaniemi, aims to increase the possibilities of children to access and participate the city and improve their social learning. The second section, also located in Dipoli, presents the findings of the Exit School of Architecture project, which showcases new Finnish architecture rising from a shared local identity. It analyses the role of collaboration in Nordic Noir architecture, an interplay between architects and their clients with an emphasis on shared values and cultural mentality. This approach aims long-term improvements in the understanding and creation of meaningful milieus with local identity. The exhibition contains a selection of recently completed works by Finnish architects and a diploma works by recent graduates of Aalto University. The third section displays work from the Helsinki Masterclass, the studio course Diversifying Forms of Living, which was organized in collaboration with the Department of Architecture at the University of Hong Kong. The exhibition is called Superimposed Verticality and it scrutinizes new housing typologies that would make possible userbased flexible design solutions: horizontality and verticality, internal and external, communicative and participatory design, optimized use and social sustainability. We deliberately selected a difficult case for participatory design here: tall housing building. A collaborative international workshop at Aalto University, organized by Group X, Department of Architecture, aimed to develop the School as a Service concept in Otaniemi. The temporary, distributed model of seeing school spaces as a service, allows extended and intensified use of facilities. During the workshop, we will prototype school activities that could create and catalyze community discourse, togetherness and collaboration. The workshop will bring schoolchildren, teachers, residents, university faculty and Human Citizens together in creative sessions. 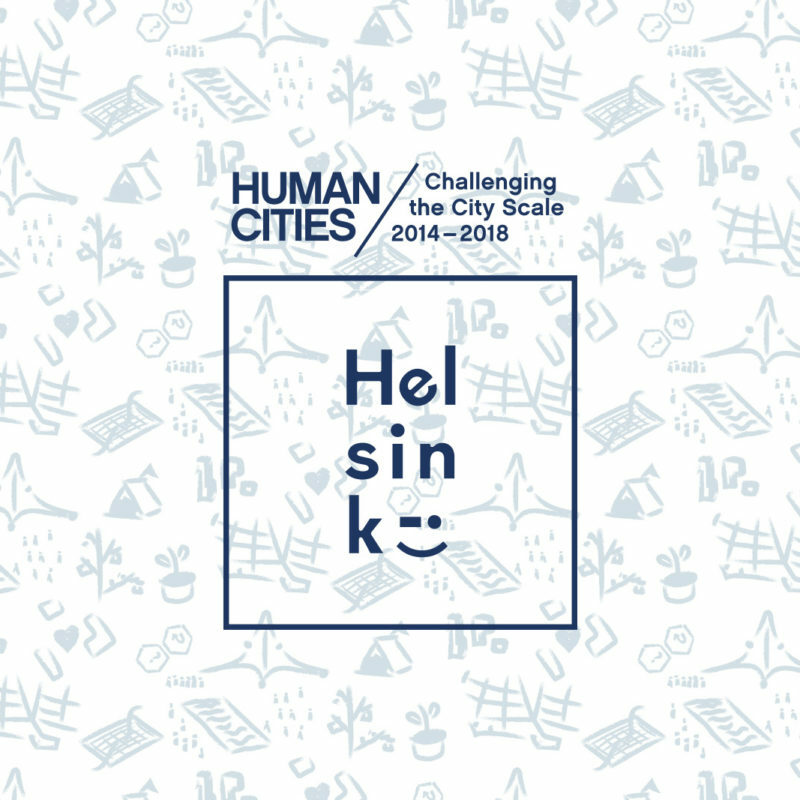 Both Human Cities events in Helsinki are part of the official programme of Helsinki Design Week 2017. Aalto University’s Human Citizens are nowadays Antti Ahlava, Jarmo Suominen, Fernando Nieto, Natalia Vladykina and Saana Rossi. Pekka Tynkkynen, Mia Hertsberg and Marc Goodwin have also contributed.